We’ll start out by saying that the X4 is, by no means, a practical choice in the compact luxury SUV segment. So if you’re already considering an emotional decision and are partial to the bold X4 design, you might as well go all out for the xDrive M40i trim level. There really isn’t a point to the lower trim when you know the M tuned, snarling beast of a Bimmer is out there. You’ll have a satisfied, smug look on your face when you smoke a Jaguar F-type off the line, leaving the owner wondering what the hell it is you’re driving. Is it a hatchback? Is it an SUV? According to the folks at BMW, it’s neither. It is a SAC, a Sports Activity Coupe. Whatever it is, we like it, and after driving it, you may too. Like the larger X6, we believe the value of the X4 lies in its peculiarity. It’s unique design sets it apart from an army of jacked up hot hatches. The design also allows for a fun driving experience and excellent performance. It may not be the most pragmatic SUV, but it’s hard not to love way this Bimmer dares to be different. If what you choose to drive reflects your personality, wouldn’t you prefer something bold to something square? The xDrive28i X4 is equipped with a twin scroll turbocharged inline 4 cylinder engine that produces 240 hp and 258 lb-ft of torque. The 4,130lb X4 reaches 60 mph from zero in six seconds flat, making it quite quick for the class. The xDrive M40i model is equipped with a twin scroll turbocharged inline 6 cylinder engine that generates an obscene amount of power, 355 hp and 343 lb-ft of torque. BMW claims a class leading 4.7 seconds, but some reviewers claim that 4.4 seconds is more accurate. Either way, that’s plenty quick. The exhaust note on the M tuned exhaust is divine, you’ll find yourself downshifting for absolutely no reason besides hearing it gurgle and pop. Handling is where either X4 sets itself apart from the pack. Body roll is negligible and grip is bountiful, things you don’t expect out of an SUV. The M40i’s optional Super Pilots make this SUV track ready, though we wouldn’t recommend them in a cold climate. Both models’ brakes are quite good. The M40i has larger, more performance oriented brakes that stop quicker, in conjunction with better tires. The xDrive 28i is quite fun, but the M40i takes everything to the next level. Every performance characteristic has been especially tuned to give an M level of the “Ultimate Driving Experience,” which we rather prefer to the more tame xDrive28i. The interior of X4 is nearly identical to the X3 it is based on, except for the “coupe” style roofline that encroaches upon the rear headspace and cargo capacity. As a result, the carrying capacity is lower than its sibling. However, that’s the point of the coupe styling, so we can’t really detract points for less utility. The standard seats lack side bolster and thigh support, easily remedied with addition of the M sport package. The sports seats are fantastic and provide ample power bolstering and manual thigh support. The rear seat isn’t very practical for anyone but vertically challenged adults and small children due to the coupe roofline. The xDrive28i comes standard with a vinyl leatherette, which we’d replace will real leather by ticking the M sport package box. It is unfortunate that BMW has chosen not to offer leather standard on some models, it’s a luxury SUV. Real leather should be standard. The X4 is equipped with BMW’s excellent iDrive infotainment system which features intuitive controls and a brilliant 6.5in screen. The optional heads up display improves the usability of the system by projecting things like directions, speed limit, and phone calls, if your mobile device is connected via bluetooth. The X4 has a very limited cargo capacity at 17.7 cubic feet with seats up and 49.4 with the seats down. However, the standard power liftgate requires a simple wave of the foot beneath the bumper to open, making rear access while carrying your groceries a breeze. The X4 is, basically, a scaled down version of the X6. Its proportions are nearly identical, though the shorter X4 has a more dramatic slope in the roofline. 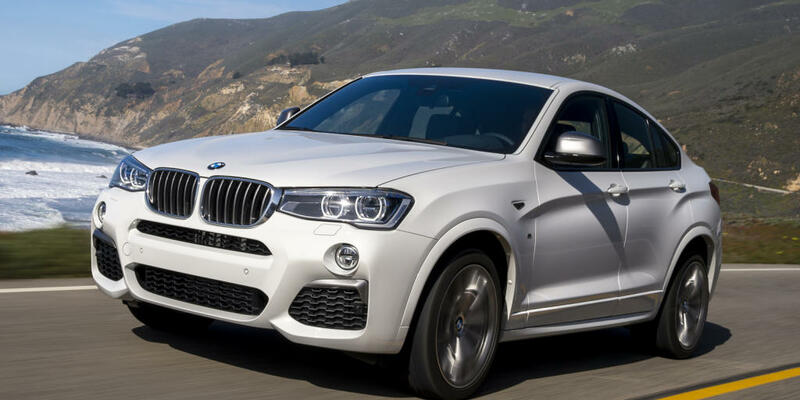 The front of the X4 is nearly indistinguishable from the X6. M sport equipped models receive aerodynamic intakes and a shadowline trim that makes the mean X4 appear even more aggressive. The rear of the X4 is distinguishable from the X6 by a slightly different taillight design, as well as a single exhaust outlet in the xDrive28i model. Love it or hate it, the exterior design of the X4 makes the vehicle unique in the segment. Though it lessens the practicality, it firmly asserts individuality. You can either make a choice or make a statement. The X4 chooses the latter, a bold one at that. There is not enough data yet to support a reliability rating. However, Consumer Reports and JD Power both offer a predicted reliability rating of 3 out of 5. BMWs, in general, aren’t exactly renowned for their reliability, so expect above average maintenance costs. Performing preventative maintenance regularly will drastically reduce the likelihood of a major problem. If you’re in need of a reliable luxury crossover, there are better options, like the Lexus NX, Acura RDX, and Porsche Macan. At the time of this writing, neither the IIHS nor the NHTSA have crash tested the X4. SInce the X4 is closely related to the X3, it is safe to assume the X4 will receive a similar rating. The X3 received high marks for safety and we have no reason to suspect otherwise. Like any other German engineered car, expect a solid frame and a slew of safety features that are likely to keep you safe in a collision due to the high standards required by the home of the Autobahn. The optional driver assistance plus package adds a plethora of technology that helps prevent an accident like automatic emergency braking and lane departure warning, which vibrates the steering wheel when you begin to switch lanes without using your indicators. It’s about time, we didn’t even know BMW drivers were aware turn signals exist. All jokes aside, the X4 is a safe bet by virtue of its handling and safety characteristics that are likely to prevent a collision in the first place. The most potent competitor to the X4 is undoubtedly the Porsche Macan. It can’t stop winning awards and every single unit Porsche has made sells quick, causing Porsche to set a sales record in 2016.The base Macan and xDrive28i are priced comparably, with the Macan costing just $200 more. 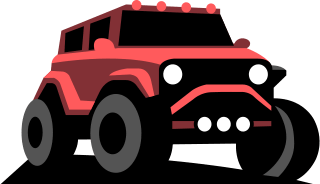 On a spec sheet, the two SUVs measure almost the exactly the same dimensions and weight, with the Macan making more horsepower and torque. However the drag coefficient on the X4 is slightly lower than the Macan, which may explain the xDrive28i’s faster 0-60 mph time, 6 seconds to the Macan’s 6.3. The Macan’s interior is more luxuriously appointed than the BMW. The fit and finish are better quality and the materials are top notch. However, we prefer the iDrive system’s simplicity to the infotainment system in the Macan. The Macan also lacks many of the technological safety features the BMW has available. But then again, that’s not really the point of a Porsche. Porsches are meant to be driven, not let technology do stuff for you. At nearly the same price, it’s tough to justify buying the xDrive28i over the Macan. We’d have the base Macan over the lower trim X4. The Macan S and M40i are also nearly identical on a spec sheet, with the Macan S priced a few thousand dollars lower at $55,400. In this case as well, the Porsche is a bit slower to 60, at 5 seconds flat to the Bimmer’s 4.7 seconds. However, a straight line isn’t everything. The Porsche handles, well, like a Porsche. It is eager to corner, hungry for switchbacks, and just plain fun to drive. Not that the Bimmer isn’t, the Porsche just makes it effortless. It is much easier to drive the Macan at pace, which may be the reason so many people are hopping on the Macan bandwagon. The Macan also receives a much higher reliability rating the X4. At a relatively reasonable price, it is no mystery why the Macan sits atop a majority of the industry’s lists. That’s the fatal flaw in the Porsche Macan, everyone will soon have one. The X4 M40i is much more unique, sure you have to drive it a little harder, but isn’t that the point? We’d happily take the ludicrous, snarling M40i over the more civilized Macan S in terms of performance. But for the everyday driver looking for practicality with performance, the Macan S is a safer bet. The base X4 xDrive28i has a MSRP of $47,600, while the X4 M40i starts at $59,250. For the former, a $2,200 premium package upgrades the interior to real leather and adds keyless access and lumbar support. The M sport appearance package costs $1,700 and adds a number of color and trim options, larger wheels, upgraded sport suspension with dynamic damper control, sport seats, an M steering wheel, and aerodynamic bodykit with shadowline trim. We think that option is well worth the money. These two packages are included in the M tuned M40i. For both models, there are five remaining packages. The $950 cold weather package heats all the seats and steering wheel. The $1,700 driver assistance package features a heads up display, active blind spot detection, speed limit info, and an instrument cluster with extended contents. For $1,200 additional dollars, the plus package equips active driver assistant which includes forward collision warning with automatic emergency braking, lane departure warning, and navigation. The $700 parking assistance package prepares the X4 for the parking challenged with parking distance control sensors, surround view camera, rearview camera, and parking assistant, which will find a spot and park your car for you. Finally, the $1,900 dollar lighting package adds full LED lights with automatic high beams that dim for you in the presence of oncoming traffic.